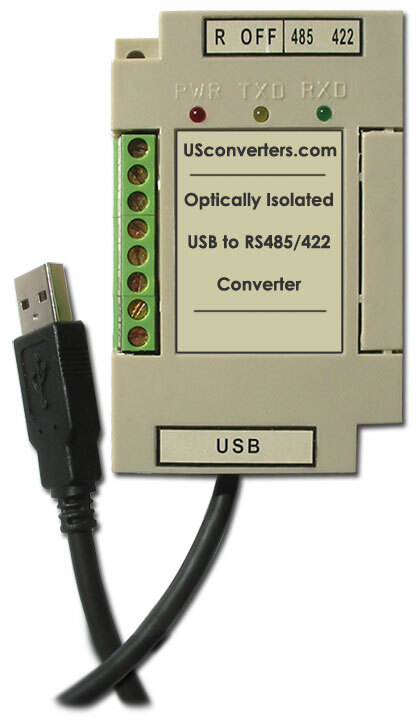 The U485G is a true industrial grade optical isolated USB to RS485 / RS422 converter. It can be mounted on a standard DIN rail or optional screws, so its easy to install it in any standard electrical enclosure. 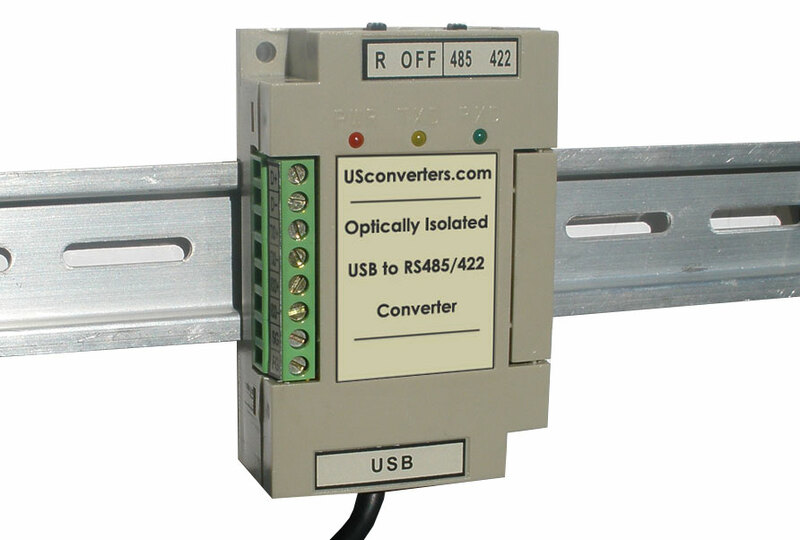 An interesting feature of this converter is that it has a built-in terminal resistor which can easily be enabled or disabled with a slide switch on top of the converter. 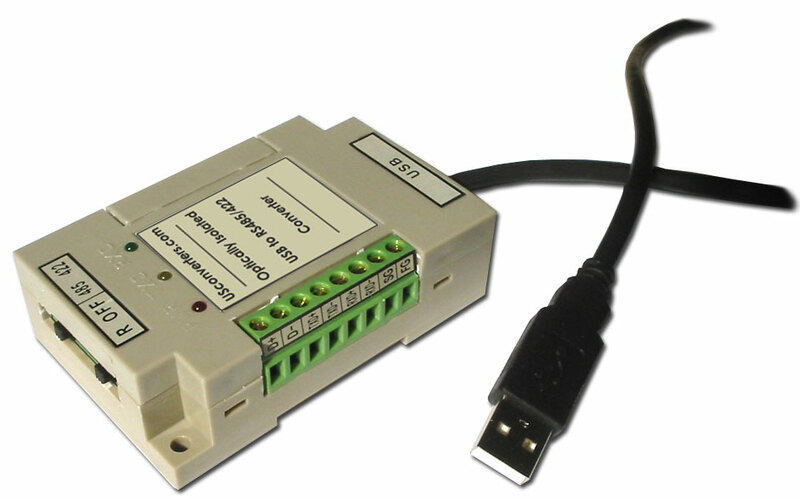 Additionally a second slide switch is used to switch between RS485 and RS422. 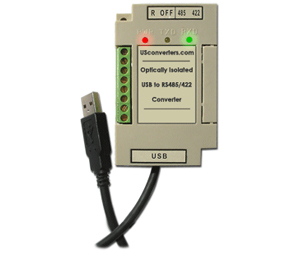 This converter is powered from the USB port so no external power supply is required. Optical isolation is provided by four high-speed 6N137 opto-couplers from Fairchild Semiconductors, which provides super reliable isolation at voltages of up to 700V continuous and 3500V spike, which effectively will protect your equipment, the converter and the data communication against high voltage spikes, surges and ground loops; an essential feature to have in industrial environments. Indication LED lights for TX and RX clearly indicates when data is present which is a great help when troubleshooting, or simply just to see when the converter is turned on and working. The chipset in this USB to RS485 / RS422 converter is the highly reliable and high performance FT232BL processor from FTDI which leaves no question about the high quality of this converter. Single RS485 / RS422 wires are easily connected via the terminal header on the left side of the converter.